During Vincent Price’s tenure with American International Pictures, he did an entire slew of movies that were mostly based upon Edgar Allan Poe works. In some cases, the title of a Poe story was used and not necessarily the story. Although The Oblong Box as a movie has nothing to do with the original Poe story, a character does mention the namesake aloud. However, that very thin connection didn’t matter much in 1969 when the film was released as it did very well, based upon the success of previous Vincent Price/Edgar Allan Poe vehicles. The Oblong Box tells the story of two brothers who, while in Africa overseeing their plantations, are separated. One of them is ritualistically attacked after a tragic accident involving one of the villagers’ young children that he is blamed for. He goes slightly mad in the process, and once he is found by his brother and returns to their home in the states, he is chained in his room to keep other people safe. He plans to escape with the aid of some local crooks by pretending to be dead, buried alive, and dug up later. 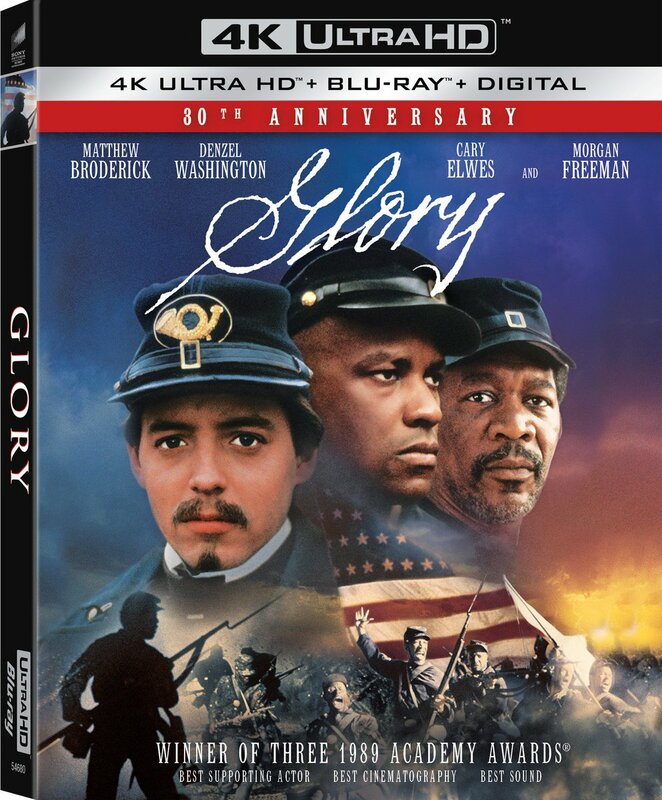 When the plan backfires, he begins to attack and kill the locals, swearing revenge against his brother, who knows the secret of what really happened in Africa. Unfortunately, it’s not one of the most compelling stories, mainly due to the non-involvement of regular-Poe adapter Richard Matheson. It’s also not one of the better entries in Price’s filmography (or anyone else’s involvement with the production for that matter). The story is very middle of the road, as if we’ve seen it all before. It doesn’t do anything to elevate the material or make it worse, but merely feels executed in a very perfunctory way. Even the outcome and the ending are entirely predictable. The characters certainly don’t seem to have much in the way of motivation, except for the villain of course, who has ample amount of motivation to be evil and do evil things. And having Vincent Price and Christopher Lee in the same movie together is certainly not a bad idea, but the humdrum material doesn’t lend itself to this idea. It would likely have been a more compelling story if they had stuck to the Poe original instead. On the plus side, it is a very well-photographed film. It also reunited Vincent Price with three of the principle players from Witchfinder General, which were actors Rupert Davies and Hilary Dwyer, as well as director Michael Reeves. Tragically, Reeves died during the pre-production stages and Gordon Hessler was brought in to take over. Consequently, Price worked with Hessler again twice afterwards on Cry of the Banshee and Scream and Scream Again. And even though Christopher Lee is featured in one of the principle roles, he and Price share very little screen time together outside of one scene. 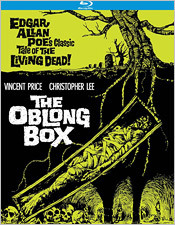 With an abundance of dialogue from scene to scene, a very lackluster storyline, and nothing in common with the original story, The Oblong Box is probably the least of the three films that Vincent Price and Gordon Hessler made together. It’s not an overtly bad film at all, but the story itself just needed more in order to make it more interesting. As is, it’s very dry. The transfer found on Kino Lorber’s Blu-ray of The Oblong Box features a very strong, but imperfect presentation. The material sourced for this transfer appears to have been very clean and well-preserved. Grain levels are quite pleasing, showing off a nice amount of visual detail with crisp close-ups, but sometimes softer backgrounds than preferred. The color palette is also quite strong, with very rich hues, but not entirely consistent skin tones. Black levels are very deep with some nice shadow detail, and both contrast and brightness levels are entirely acceptable. There are no instances of digital filtering or scrubbing, and there are only minor artifacts left over, including some light scratches and black speckling. The audio, which is a single English 2.0 DTS-HD track, is non-aggressive but pleasing enough. Dialogue is mostly clean and clear, except for some muddling during some busy scenes. Sound effects and score are also clear, but lack any dynamic punch. There’s also some hiss to be heard, and no real sense of heft to the overall track. It’s a very satisfactory experience, but it could do with a bit of a restoration sometime down the road. Unfortunately, there are no subtitles to choose from. For the extras selection, you get an audio commentary with film historian Steve Haberman; the short film Edgar Allan Poe’s Annabel Lee from 1969, narrated by Vincent Price; the film’s original theatrical trailer; and trailers for House of the Long Shadows, Tales of Terror, Madhouse, and Twice Told Tales. The Oblong Box isn’t in the top tier of Vincent Price films (at least for me), but Kino Lorber’s Blu-ray presentation of it just might encourage a new appreciation of it. Besides, the more Vincent Price vehicles in high definition, the better. With a good transfer and decent extras, it’s definitely worth the price tag.